I’ve been involved in the business of horses my whole life. I was born into a horse family and we started a business when I was very young. I was raised with marketing and photographing and showing and breeding and taxes. However, being involved in the family business was very different from being a solo business owner or sole-proprietor as the IRS likes to call us. My sister and I both remained in the field (pardon the pun) although we took very different trails. I have been very grateful that even if we were several states or a country apart, we could still call each other with our ideas and brainstorm over the phone. I began losing contact with her a few years ago. I won’ get into those reasons here. For more information check out my articles and speaking topics on sociopaths and what to do when they enter your life. My sister passed away in June and with her I lost a good friend who was not always on my side, and a person who could brainstorm ideas with me and who brought personal experience to the table. To say I have been somewhat floundering in several areas of my life since her passing would be an understatement. However, it was through this experience that I gained a better understanding of the plight of so many individual business owners, particularly those in the business of horses. Even if we can do the whole thing ourselves… it is just not as much fun to do it alone. I enjoy listening to other horse people share their wins and losses and lessons learned and remembering their stories when I am about to venture into something. Some of us have families. A husband or wife and kids who are involved in our dreams of this business. Having been raised in such a home, I can say there is nothing like it. But many of us think we have a family business when what we really have is a somewhat supportive family with their own dreams and ambitions, leaving us to handle all the tasks involved in creating and running a business. 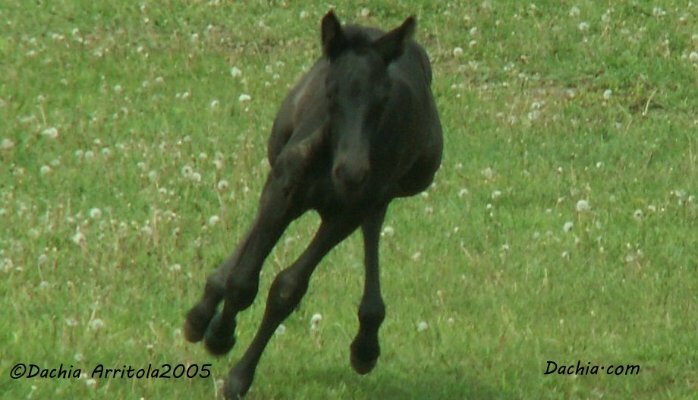 We are virtually, if not literally, on our own to set up a website, create fliers, plan clinics, return emails, connect with people, file taxes, to say nothing of the activity we really like- training or breeding horses or whatever our particular passion is. If you have not read the E-myth Revisted by Gerber, I encourage you to. I read this book many years ago and had an aha moment when I realized that just because you love something and are good at something doesn’t mean you should be in the business. For some of us, horses should remain a passionate hobby. For the rest of us, if serious about making the world a better place for horses at the same time we make a profit, we need to take a step back and see a bigger picture. We need to understand and embrace that the welfare of the horse is paramount. Every decision we make must be with them in mind. This can be forgotten when we are trying to do it alone and our motivation begins to fizzle. Our business needs to be cared for. We need to consistently be furthering our education. Stay on top of the market. Understand where it is headed. And build partnerships. I don’t mean that we take on a partnership in our personal business, but we connect with other like-minded horsemen. It’s a lonely world without friends. It’s a doomed business without support. I’ve been creating masterminds and organizing alliances for years. It is not hard. You are probably already connected with a half a dozen fellow horsemen who are in a business in the same industry. Step one- agree that the horse comes first. Step two- agree that you are not in competition, but rather cooperation. The rest of the steps can be ironed out over a few Skype calls or a Google hangout. If you are serious about creating or furthering your horse business, you’ll agree that you need to invest time and money in it. You need to work on your business just as much as any other entrepreneur in any other field… if not more. From my experience as a business consultant, primarily in the horse industry for over 20 years, I can say that the majority of businesses going broke and closing their doors is due to not investing time and money. It takes both. There is an incredible amount of information available to us for free online. I’ve been sharing these resources with my clients for years and I know they will help you too. I hope to see you on the trails or in the arenas. Feel free to comment below if you have personal advice from your own experience in the business of horses. It isn’t luck that sets apart the successes from the losses. As always, I invite you to find me on Facebook or connect with me on LinkedIn.